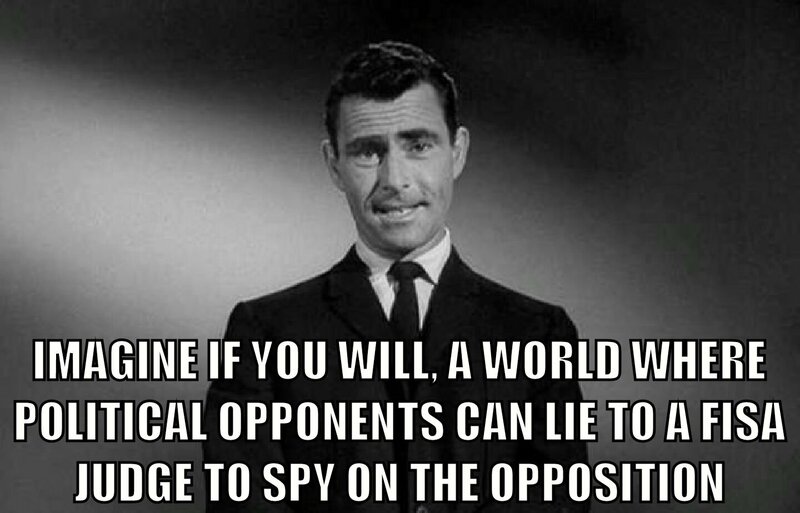 The irony of the Mueller investigation that was demanded by Democrats because they thought it would show Trump colluded with Russia to win the Presidency is that it has blown up in their faces by exposing in greater detail how Obama and the Deep State attempted first, to throw an election in favor of one candidate, Hillary Clinton, and second, attempted a coup once Trump was elected via investigations and false claims. Once Trump won the election, the Deep State used their accomplices in the msm to convince the American public that Donald J Trump stole the election with the collaboration of the Russians. In this way they sought to remove him by impeachment. It turns out the Deep State were the ones who were acting as agents of Russia seeking to tear America apart. John Brennan, Obama’s CIA director, by his own admission, played a key role in instigating the investigation of Trump before the election. In the aftermath of the election Brennan has repeatedly called Trump a traitor on social media and old media. We now know in August 2016 Brennan gave a private briefing to Sen. Harry Reid. Subsequently, Reid sent a letter to the FBI which included info that clearly came from the now infamous dossier, manufactured by ex-British spy Christopher Steele and Fusion GPS contractor. This dossier would later be included in the Foreign Intelligence Surveillance Act (FISA) warrant application that was used to justify investigations into Trump, his campaign, and his family. It now appears very likely Brennan later lied under oath that he did not know who commissioned the dossier. This dossier was originally funded by none other than Hillary Clinton and the Democratic Party. Since the conclusion of the Mueller report has come out Brennan, probably fearing an investigation into his actions pre/post election, now says he had “bad information”. A more accurate description might be that he was willfully spreading disinformation to bring down a President. James Comey himself described this dossier as “salacious” and “unverified” yet he did not bother to have the FBI attempt to verify the contents of the dossier. This didn't stop Comey from lying 4 times to the FISA court that ex-British spy Steele was the source of an article by “journalist” Isikoff, which was used to corroborate claims in his own dossier. So Comey, in essence, told the FISA court that the Steele dossier had been corroborated by…Steele. Some background: Steele also worked for Russian oligarch Oleg Deripaska. So the only person who had any verifiable evidence of working with the Russians in any capacity is an ex-British spy, contracted to manufacture a false dossier on behalf of Hillary Clinton to smear Trump and later weaponized to impeach Trump after he won the election. Comey lied to the FISA court so he could obtain, as he did, a warrant to spy on Carter Page (Trump staffer) and the Trump family during the election. Moreover, in addition to Comey, Deputy Attorney General Rod Rosenstein, former Deputy Director of the FBI Andrew McCabe, and former Attorney General Sally Yates were required to sign off on the FISA warrant application. They are either incompetent or were engaged in a conspiracy but regardless, this was a fraud on the FISA court. Bruce Ohr, a senior official at the time at the Justice Department, acted as a middleman between the FBI and Steele. He passed along information from his wife Nellie Ohr, also a Fusion GPS contractor like Steele, with, presumably, unverified and false info regarding Trump and his campaign. The FBI later terminated Steele’s relationship as a confidential informant with them after he revealed this relationship to the press. However, for up to 1.5 years after, Bruce Ohr continued to act as middleman between Steele and the FBI, even after Mueller took over the investigation. Americans should be marching in the streets at this attempted coup but we are so doped with mindless entertainment that we no longer care. We are becoming a system where as long as you don’t challenge the 2 party system you are allowed your freedom to make money and to say whatever you want so long as it doesn't have consequences. 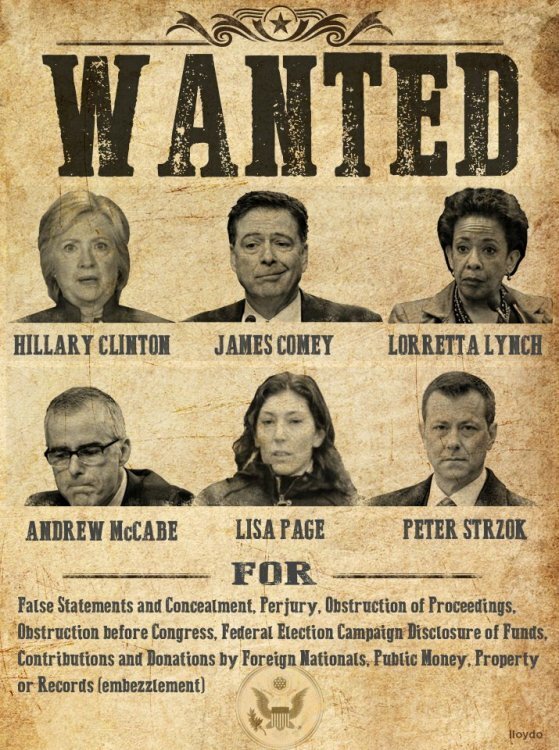 Any more details of Mueller's report due to be released by AG Barr are likely to reveal more of the rotted core of the Deep State and their machinations and not, as Democrats think, damaging info about Trump. ^ I wholeheartedly, strongly agree. For those who understand my cryptic note about a different forum, I've received a few (you) green texts in the last year or so on this topic. "The Geopolitics Forum focuses on all global politics. 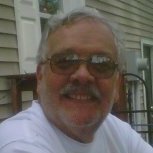 If it's related to oil please create a thread within the Oil General forum." I debated this with myself as well but came to the same conclusion you did. The effect on our relations with Russia and Europe alone I felt made it appropriate to this forum, regardless of what Mueller's report showed. Yes, in my opinion, this will have trickle-down global consequences. Clearly, since I have a minority opinion on this entire issue, many others will disagree. And I'm fine with others disagreeing. This is a difficult rabbit hole to go down, it's not pretty. For amusement, here is an older meme made by Trump supporters, poking fun at Trump haters who try to poke fun at Trump supporters. 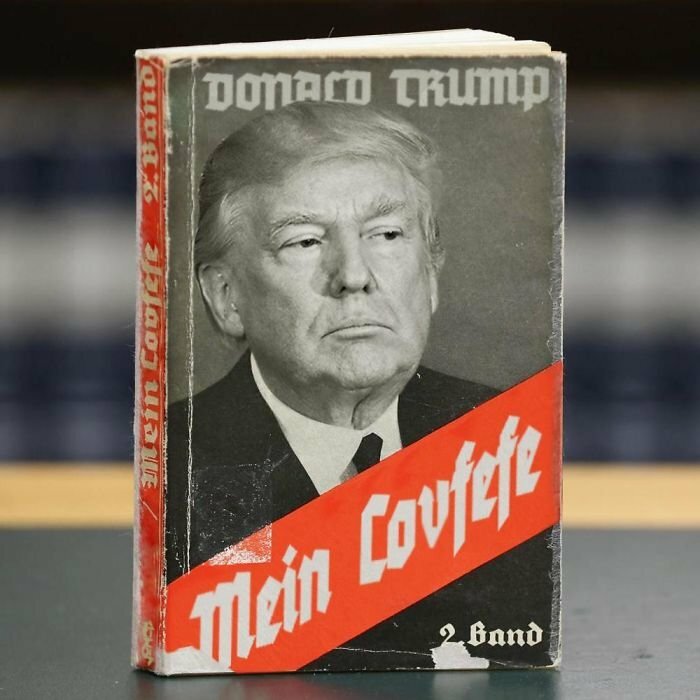 It's playing with the amusing "The Left Can't Meme" and the "Literally Hitler" memes. You are correct. This is what I meant but I was not very clear. Unfortunately most people think there are 2 parties in the US but there is really just one and they cooperate to enrich themselves, their families, and their friends at the expense of everyone else. I think the public gets confused because their rhetoric can be different but the way they behave once in office is very different. In my opinion, Russiagate was a fraud and a hoax. However, I do not view "the Deep State" is a monolithic entity. I believe there are various factions and interests, some more in common with others, and it's never clear in the shadowy netherworld of intelligence and intrigue. What we see on the media are the figureheads and cartoon cutouts - the Ted Lieus, the Adam Schiffs, the Muellers, the Maddows, etc. In my opinion, the Trump election reflects a slight conflict precisely within the 'Deep State' factions. The neoliberal establishment that has long since reigned does not like Trump for various reasons, including likely his geopolitical opinions. The Russiagate narrative served to vilify Russia has the number enemy. Unfortunately, most in the American ruling class were and still are asleep to the fact that the greatest geopolitical rival and threat to the U.S. actually comes from China, not Russia. Former candidates like Mitt Romney are completely oblivious to the geopolitical tectonic shifts that are currently underway that will determine the fate of the 21st century. Russiagate did a whole lot of nothing, but the lasting effect of Russiagate has been online censorship of mostly right-leaning personalities who dare questioned the official media narrative. Social media sites have largely silenced or banned those who did not necessarily tow the main line. Russiagate will soon be in the public memoryhole, but you can bet the censorship tactics of most of the social media corporations will remain intact. Although I do not agree with Trump on most items, he was correct to see China as the true geopolitical rival to the U.S. and his (at least) verbal overtures to woo Russia could be viewed as an attempt to mend ties with Russia. If the U.S. has any hope of trying to stay relevant not just as a superpower but as a country, it will need to realize the reality and court proper alliances on the grand chessboard, especially Russia. We need a grassroots, bipartisan groundswell for term limits. Otherwise, in my opinion, we are doomed. The Swamp controls everything. Unfortunately, half the population has Trump Derangement Syndrome, and aren't willing to focus on anything else. Agree about China and censorship. I also agree the Deep State isn't monolithic which is true of just about every large bureaucracy. There are definitely government officials sympathetic to Trump. 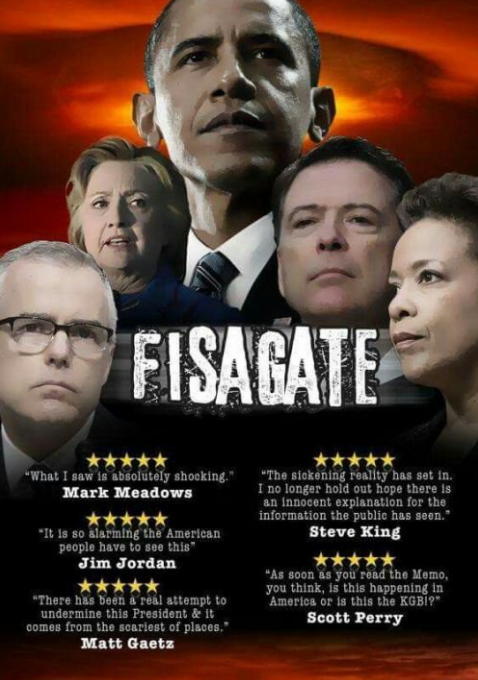 But based on the high-level government officials involved and the intelligence agencies they represented I think what was done to Trump can only be described as an attempted coup. Further, I think we've crossed the Rubicon in terms of American democracy; what it means and where it goes from here. The rabbit hole goes deep. They never thought Hillary would lose. Yup. It's one of the most amazing political elections in history. He had the entire state apparatus against him. This includes, especially, the media. Even members of his own party. Even more amazing is he survived this coup attempt. If you're an atheist it's enough to make you a believer in some sort of invisible hand. 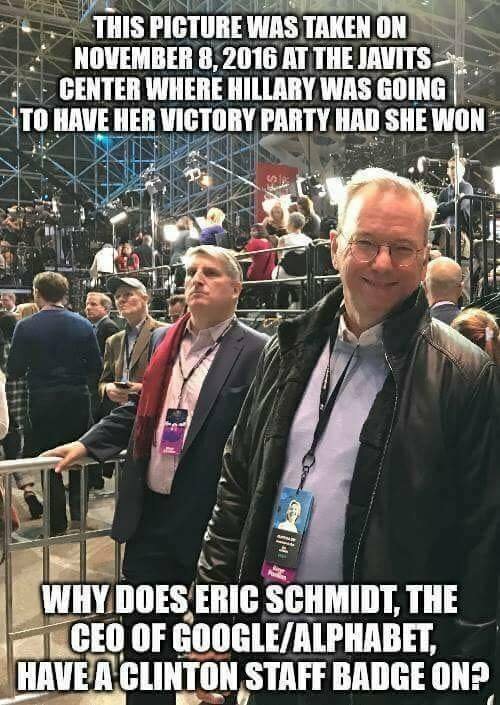 Eric Schmidt is evil. I don't like to throw the word evil around because it's used too often but it applies here. Google was working on Project Dragonfly. It was essentially a censored search engine for China. They would censor whatever words or content the Chinese Communist Party wanted. To their credit some employees leaked this effort and now Google says it won't deploy it. I've no doubt, however, they continue to work on it until things quiet down. Google is also working with the Chinese on AI. This has led General Dunford, Chairman of the JCS, to meet with Google since this technology will benefit the Chinese military, hence, the CCP. Recall that Google decided not to continue working with the Pentagon on Project Maven for fear it could be used to identify targets, for example. Google is so desperate to get back into the Chinese market that they are willing to get into bed with the Chinese. What they don't understand is that China will never let Google in their market so long as it's ruled by the CCP. To stay in power the CCP need to control information. An unfettered search engine is anathema to that goal. They are going to steal everything they can from Google while dangling the prospect of letting them in. When they've got what they want they'll sever ties with Google and continue to keep them out. Just imagine the things Google would have been able to get away with, here and abroad, if Hillary had won. Do you want to increase your bottom line by way of using readily available input to select which people should be in which job? This is not a PC way to look at things but I think it is very effective way to enhance you bottom line by looking at affiliations with extreme public figures. Wonderful opportunity to put into focus not Trump but the venerable Trump supporter. Indications are the 'typical' Trump supporter is more inclined to support dogma over making their own rational connections. While this may make for an employee that is loyal, the result is a person more likely to react to authority than to participate in reason. Therefore just think. If your fellow colleague or the potential new hire is in front of you, do you wish to hire someone loyal or someone who is capable of discerning a path through disparate inputs? That is a thinking person versus an automaton. Now there are some jobs such as truck driver or customer service who should follow rules directly in general most jobs require at least a modest amount of thought, if not extreme wisdom, in the event of emergency or unique inputs. So think next time you have a chance to pick people to join your teams, do you need leaders? or do you need followers? Followers are more likely to be your Trump supporters. Leaders are more likey to see how the facts must be uniquely constructed for each situation and not likely to be Trump supporters. Note I am not referencing party political affiliation. It is a happenstance that Trump has been successful at making the Republican party into his own image. These are your suppositions not supported by any sort of data and it's a narrative I've often seen used to rationalize Hillary's loss and disparage people who voted for Trump. The poorest people in the US are black and Hispanic. They also vote overwhelmingly Democratic. These are facts. Poorer people are more likely to be the 'automatons' who support politicians promising them free things as the Democratic Party does rather than using these mythical leadership skills you speak of to acquire them through effort. The reality is most people in this world, regardless of political belief, are worker bees. As it should be. This doesn't mean they are unthinking automatons. Too many Chiefs and not enough Indians makes for a bad organization. For those not aware Peter Strzok was the FBI agent who initiated the Trump investigation. As part of this he recruited Stefan Halper, a University of Cambridge professor with long standing ties to the CIA and Britain's MI6. Halper offered up his services to the Trump campaign as a foreign policy advisor, which apparently was his in. In the aftermath of Strzok's role in this fiasco and his anti-Trump texts to his lover Lisa Page, he was initially only demoted and suspended by the FBI. This was later overruled and he was fired. Now, rightly I think, his actions are being investigated. Strzok should have known from the beginning he was always going to be the fall guy if things went sideways. He's lucky this is the US. In many other countries he would have been found dead. Thanks guys. Normally one has to visit the Infowars website to get this kind of conversation. Good argument. Do you care to even try to refute any facts I presented, which are public information, or do you just want to continue to bury your head in the sand? Who wrote this post, a 13 year old...? It's a mess, but what facts. Is the report released, and even it's only a tiny piece of the overall collected. All we know is they collected a lot of fines and, probably could easily a profit on it, lots of evidence of shenanigans of self-enrichment, but not Russian collusion. Which hmm, how many governments has the USA played silly tricks on. Gambling, here, in Casablanca? To quote line from a favorite movie of mine, Repo Man "No one is innocent." Running for high elected offices in now become a great wealth maker in the US. Which tells you a lot. Did you even read the first post? This info was known before Mueller's investigation and Barr's conclusion. That's why I had the headline with "Focus" instead of something like "exposes". Mueller's submittal of his report had the media in its latest feeding frenzy largely because many expected it to have some damning evidence of Trump's collusion with Russia. When the report is released it will not alter the conclusion that there was no collusion with Russia. If Barr had withheld this in his summary only to release a report a few weeks later that said otherwise it would be suicide, for him and Trump. As I said above, the released report will simply reveal more Deep State chicanery along the lines of Comey, Strzok, Brennan, etc. Can you share how you know it's a tiny piece of what's collected? What about the Assange arrest? Is Trump under pressure from the so called deep state to reveal his cards? Trump is now saying he doesnt know what wikileaks is even though he is on record on multiple videos thanking wiki leaks. Is the arrest a way to get his base to turn against him because if he says I like wikileaks now, they will say look there is Russian collusion. Of course, we in the general public dont know how many tunnels there is in this rabbit hole, but definitely something big is going down and it proves there is a deep state. The battle continues. Moves and counter-moves. Game Theory. And this is a pretty intense game being played out. I can't comment on behalf of Trump or Wikileaks. And normally I tend to avoid addressing any of this on this forum, because on this forum I really do try to focus on oil & gas + its intertwined global politics. If Trump wins re-election it will be very bad for the “deep state” whether that deep state be monolithic, systemic or isolated. Think of it thusly, remember when Obozo told Medvedev, “After my election I have more flexibility”? Trump will be in the same boat as Obozo was. Termed out, beholden to almost no one with the added bonus of spoiling for a fight. Has anyone forgotten his vindictiveness? Heads are going to roll on this. Now, it won’t reach to his imminence Obozo (calm yourself hope and change acolytes) Folks like him in “democratic societies” rarely ever get their deserved comeuppance. In third worlds he’d meet a sure and violent end. But it will reach to very high levels. In the periphery Sillary will take a hit. The Clinton Machine no longer has the power it once did and thus her and Slick Willy’s absolute protection, once a forgone conclusion, are now imperiled. Others like Brennan, Comey and perhaps Susan Rice will pay. They won’t betray Obozo as the true puppet master on the deal and thus it will be their pound of flesh that is paid. Let’s call them necessary sacrifices. Unfortunately still, so many American Voters can’t see the real picture here. What has been done by the folks who hatched this Russian Collusion malarkey can’t be undone. The damage to our Republic can’t be undone. It doesn’t matter whether you love or hate Trump, this episode represents the truth about where we are as a nation. Some in our country have become so overwhelmingly partisan that they don’t give a damn about respecting the law and the peaceful transfer of power which is the hallmark of our country. I’m fighting mad about it and everyone else should be as well. I’d be equally angry if Bush Jr. had done this to Obozo. This mess shouldn’t offend your sensibilities in terms of your politics or party ideology. It should offend your sense of Freedom, Right and Wrong, party be damned.